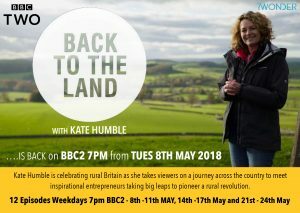 We are so excited to feature on the first episode of the new series of Back to the Land with Kate Humble on Tuesday 8th May, BBC2 at 7pm! 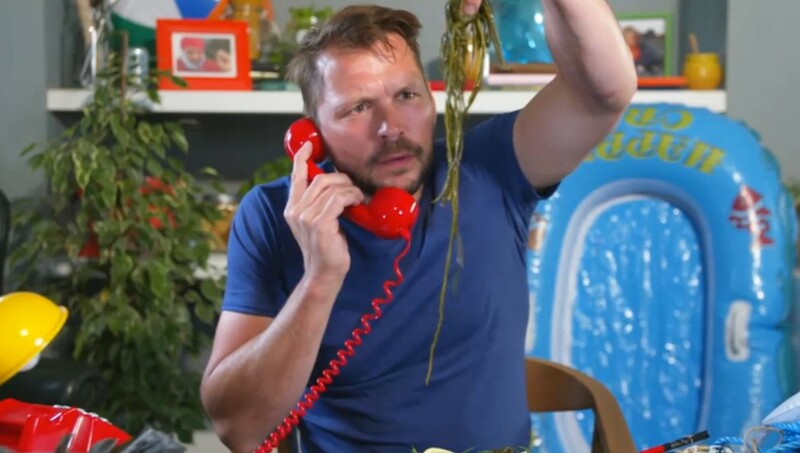 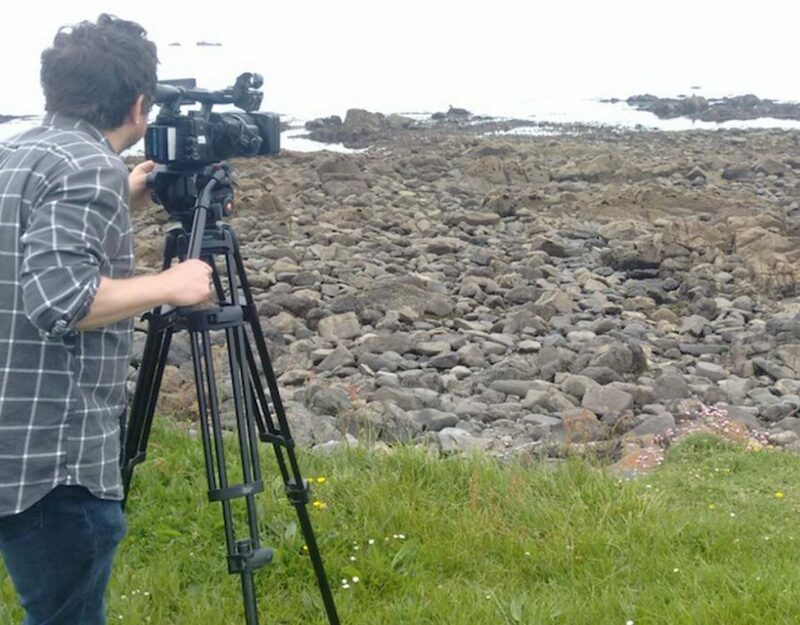 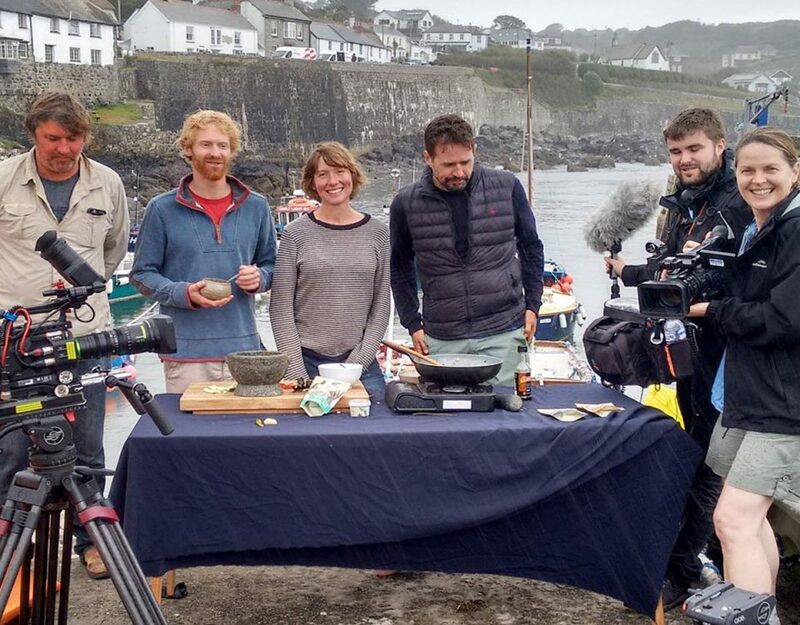 As the popular BBC2 series returns for its second season, we are taking centre stage as we show Kate exactly what we get up to at the Cornish Seaweed Co.! 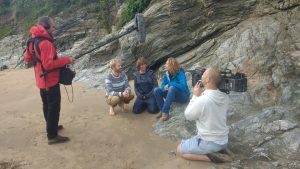 Kate was our second celebrity seaweeder to visit us this year following our filming with Jamie O, and we have loved having her on board the CSC team. 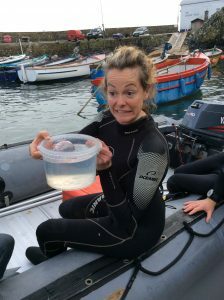 She got totally stuck in on her multiple visits down to Coverack, donning her wetsuit and diving down with us to see how we snip those lovely greens first hand, she even made friends with one of the less friendly locals – a Portuguese Man of War Jellyfish! 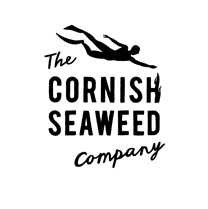 In typical Cornish form, although we could guarantee the seaweed, we couldn’t guarantee the weather, so a huge thanks to Coverack Village Stores who kept us cosy with lovely hot chocolates as we watched the rain pour down, although we have to admit we loved the excuse to sit and exchange travelling tales! 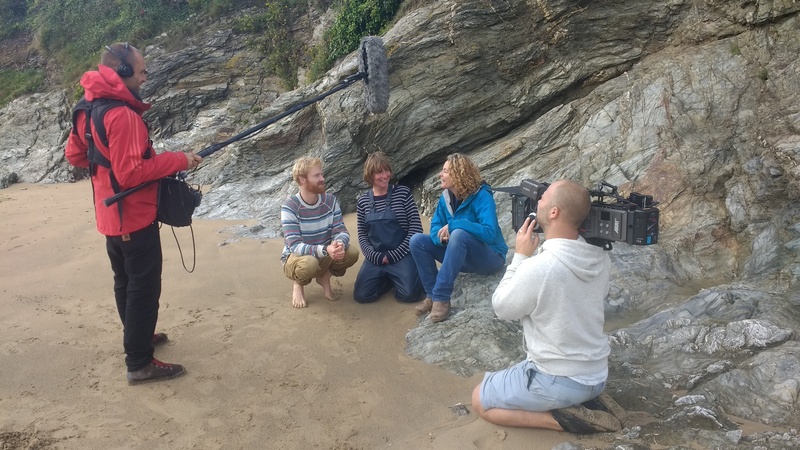 When the weather cleared, we even managed to get down to Maenporth beach for a cheeky seaweed BBQ, where we used some of our fresh sea spag to cook up a stir fry treat! 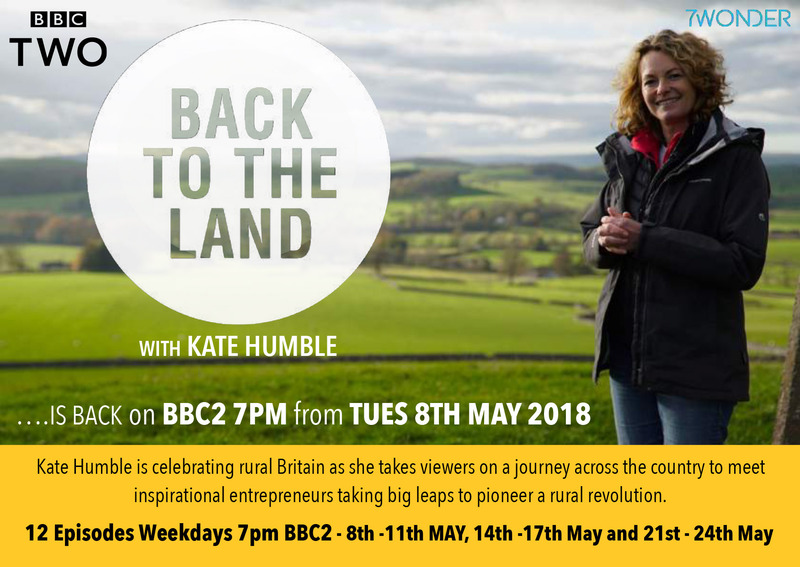 You can catch up with all of our adventures with Kate on Tuesday 8th May on BBC2 at 7pm – make sure you let us know what you think! 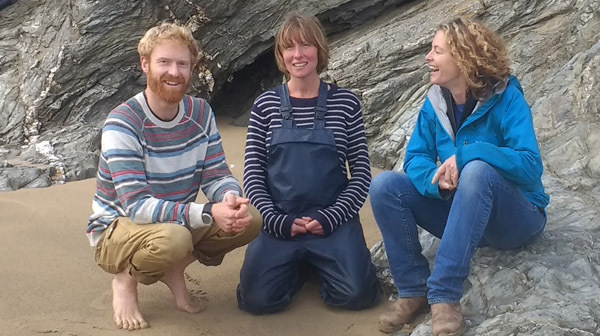 We’ll be live tweeting the programme @CornishSeaweed. If you’re feeling inspired by Kate’s adventures and want to start cooking with seaweed, take a look at our recipe book here, or get our hands on some Cornish greens here.